Following his work on Vertigo Comics’ Preacher with artist Steve Dillon, writer Garth Ennis firmly cemented himself as one of the most popular creators in comics with a twisted sense of humor, purveyor of extreme violence, and innate talent for skewering holy cows. Naturally, six years after the conclusion of Preacher, this lead Ennis and artist Darick Robertson to take on the biggest game in comics: Superhero universes. The result was The Boys, a 90 issue combined story arc published from 2006 to 2008 by Dynamite Comics. The titular “Boys” are a CIA strike team focused on managing the rampant illegal activities of the superhero community. Whereas in more well established superhero universes this type of behavior tends to center around vigilante justice and unregistered policing, The Boys deals more with their casual violence, destructive behavior, and rampant drug use. Essentially, superheroes are the bad guys, whether they’re stopping crime or not. Like much of Ennis’ work, mileage may vary depending on reader’s appetite for sexual depravity and gore, but there’s no denying his talent for satire and engaging narratives. 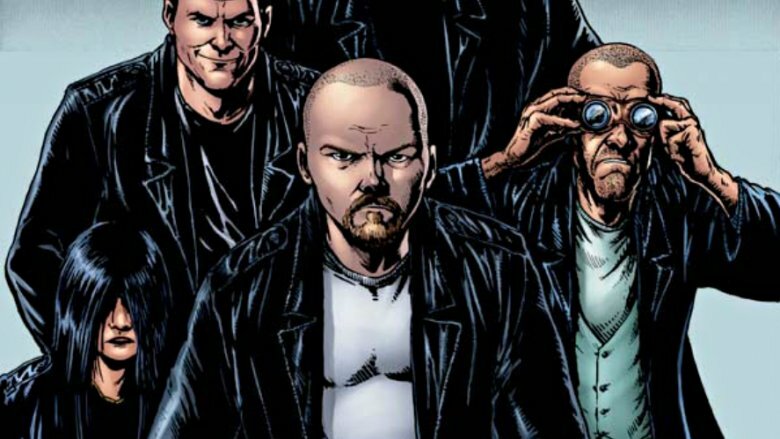 The Boys endures as one of the most well received original comics Dynamite has published. Below you’ll find a complete guide to issues and collected editions you should read in chronological order. Note that the digital omnibus collections include the full run of The Boys, but do not appear to include the three spinoff miniseries. The definitive editions below do include all connected issues.